Thank you for your dedication and loyalty to our Dancing with Local Stars competition. 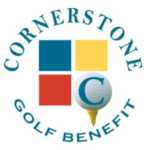 Thanks especially for supporting Cornerstone’s Night of Celebration! We are so excited to host our event for the 10th year! 8:00 pm – Dancing with Local Stars! We cannot thank ALL of you enough for your support. If you can not attend but still wish to donate, you can donate online.